Brand new house fresh water canal house. 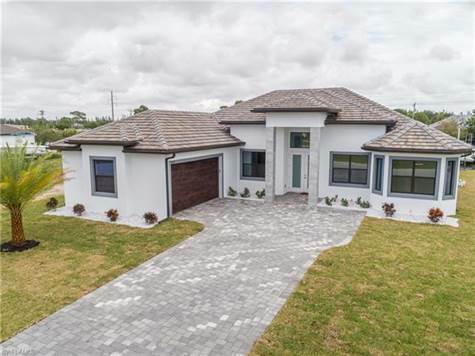 Upgrade galore includes: European modern style kitchen cabinets, granite countertops, tile through out the house, high tray ceilings with special LED lighting, stainless steel appliances, backsplash, tiled roof. All modern lighting and fans, fireplace. Outdoor kitchen fully equipped with grill, cooler. Heated salt water pool surrounded by pavers. Sprinkler system. Fresh water canal with new seawall leads to huge lake at the end of the street. You could access a total of 7 lakes. Not actual pictures, pictures of sister house.